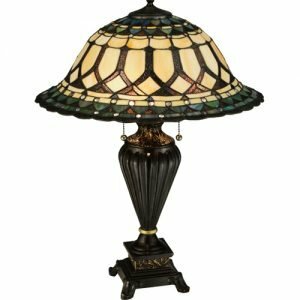 All Things Tiffany offers the highest quality selection of lighting items that come in a variety of patterns, heights and bases. 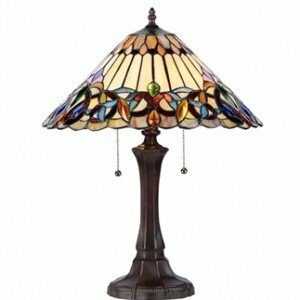 Whenever you are ready to buy, our specialty Tiffany experts can help you decide the perfect design to bring an extra touch of beauty to your life. 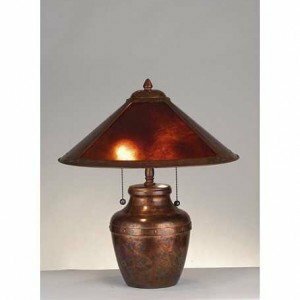 We believe home décor and lighting can be critical to creating the atmosphere you want in your home. 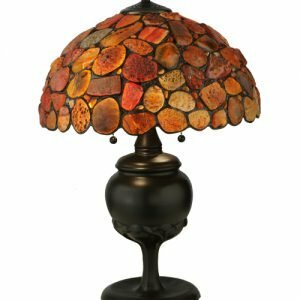 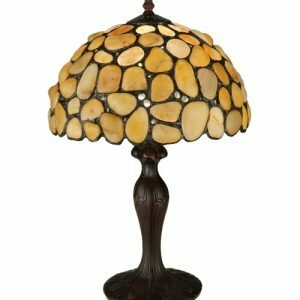 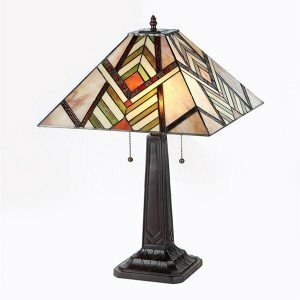 Gorgeous stained glass table lamps and desk lamps make all the difference when looking for a way to add functional light to a room while providing a classic artistic touch. 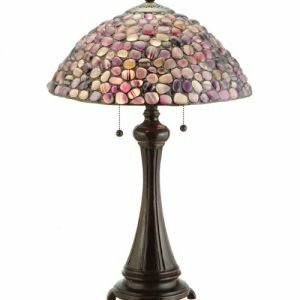 Simply plug one in and place it on an end table, desk, or wherever you prefer. All Things Tiffany values ease and efficiency, therefore, the table lamps we carry are constructed to use standard light bulbs and require very little assembly despite their intricate appearance. 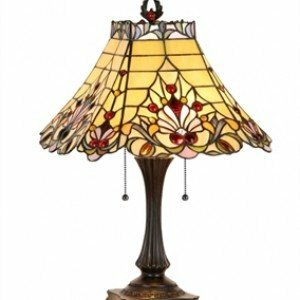 Even when turned off, the bright colors and details of the glass in a Tiffany-style lamp manages to grab one’s attention more than any ordinary lamp. 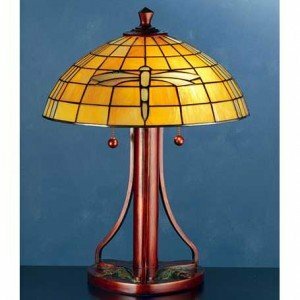 Even more, all of our table lamps are made with the traditional Tiffany copper foil method—a technique used by top manufacturing companies such as Meyda Tiffany and Paul Sahlin Tiffany’s. 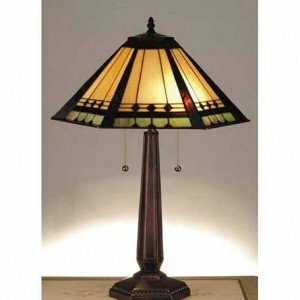 These handcrafted glass lamps are each an individual work of art, making them unforgettably unique in their own way. 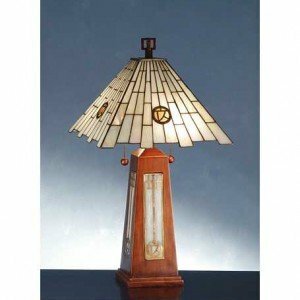 Browse our extensive selection of traditional or modern designs. 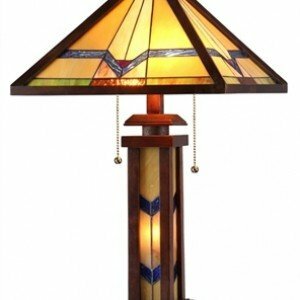 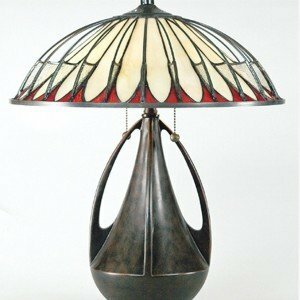 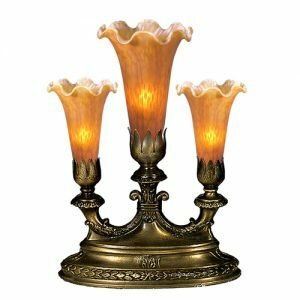 We have options suitable for all settings and firmly believe that when it comes to style, Tiffany lighting sets the standard for class and elegance. 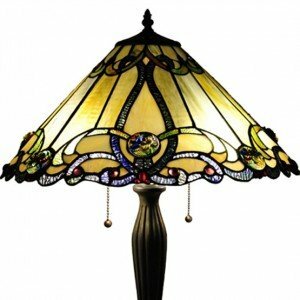 As always, if you have any additional questions or inquiries regarding certain designs, contact All Things Tiffany today.